Midtown’s Traffic Jam & Snug is gearing up for the release of their fall microbrew, which is set to be unleashed to the public on Thursday, October 27 at an event that surely will help alleviate the jarring transition from mild to frosty weather. The awesomely-named Hibernator Doppelbock is a strong dark lager with a bold malt forward profile and a refined hop character for a serious beer (7.5% A.B.V.). For those with insatiable sweet teeth, tastings of Traffic Jam’s new ice cream will also be available. Made in the brewery’s dairy, “Cider Mill” is jam-packed with apples, cinnamon and doughnuts. The evening will also include pop-up performances from the Detroit Fire Guild and haunted hayrides throughout the Cass Corridor. Back to the main course, the Hibernator Doppelbock is a Bavarian specialty beer that was first brewed by the Minims an order of monks founded by St. Francis of Paula. During the spring religious season of Lent, monks were required to fast. Bock beers are higher in food energy and nutrients than lighter lagers, thus providing sustenance during this period, similar to high-gravity Lenten Trappist beers. The Minim monks named their beer “Salvator,” so it is traditional for breweries to give their Doppelbocks names that end in “ator,” hence Traffic Jam’s Hibernator Doppelbock. Traffic Jam opened in 1965 at its current location on West Canfield and Cass Avenue in Detroit. They count an in-house bakery and dairy among their featured amenities, in which they produce their own breads, desserts, cheese and ice cream. Traffic Jam opens at 11 a.m. daily and closes at 10:30 p.m. from Monday through Thursday, midnight on Friday & Saturday and 8 p.m. on Sunday. 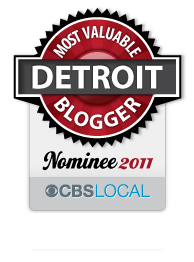 This entry was posted in Detroit, Food, Things To Do and tagged bars, beer, craft beer, detroit, detroit bars, microbrew, midtown, pubs. Bookmark the permalink.